How Kobe Bryant's shoe design and Kung Fu influenced Serena Williams' new Nike shoe for Wimbledon 2015. You can credit Kobe Bryant and the Kung Fu philosophy for the design of Serena Williams' completely new on-court footwear for Wimbledon 2015. As Nike designer Aaron Cooper worked with Serena, creating the first on-court shoe engineered specifically for the dominating American, it was a small strain of Serena worry that helped shape the new NikeCourt Flare. That’s where Kobe’s signature basketball line makes an impact on the Serena-focused NikeCourt Flare. Cooper says convincing Williams that she should switch her thinking from bulk to streamline started with showing her the evolution of Kobe’s line and how his designs have turned more flexible and with a lower profile. But Cooper wasn’t going to copy the Kobe basketball shoe for the tennis court. He needed a different source on which to base his design. And he chose Kung Fu. 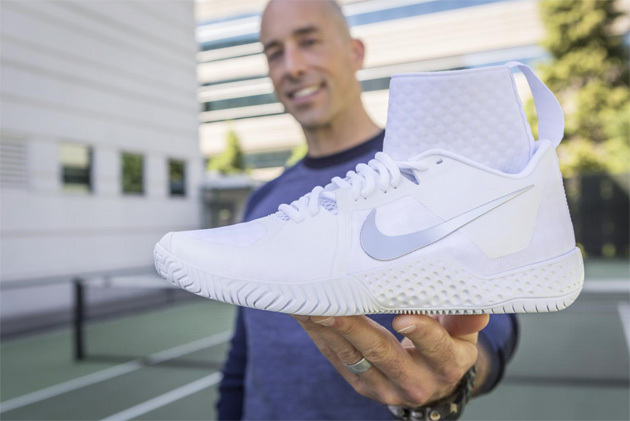 While not new at Nike, as the Kung Fu-inspired prototype resting inside the Oregon company’s design center has already spawned sneakers for training and basketball, Cooper grabbed hold of the concept of creating an ankle cuff. Using neoprene, Cooper built a sleeve for Williams’ ankle—giving her the feeling of stability to increase her confidence of movement—while keeping the rest of the shoe a flexible low profile. The cuff connects to an internal bootie and a midsole that doesn’t bond to the shoe, upping the cushioning quotient. With the material hugging the foot and ankle created, the NikeCourt Flare design went minimal on the shoe’s upper portion with composite materials designed for breathability and durability. 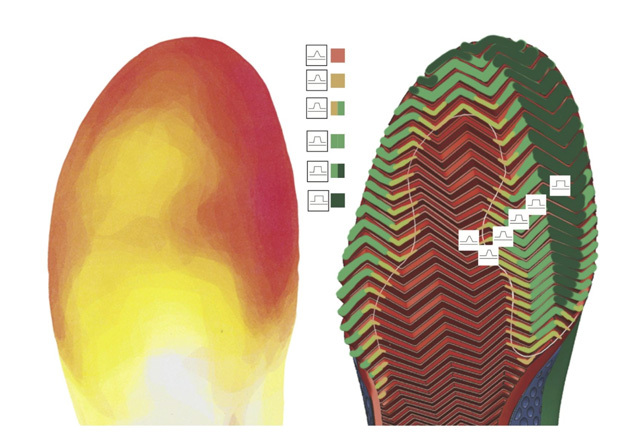 And instead of giving Williams a plank of rubber for the outsole, Cooper used pressure-mapping data to determine where exactly the shoe needed the most material for durability, allowing him to cut away material in other locations for a lighter, more flexible sole. The NikeCourt Flare was designed with Kobe and Kung Fu in mind. Now it’s up to Serena Williams to channel all the inspiration into tennis.